Monetization through commission on all applicable purchases made by your site visitors, meaning the more sales you drive with your blog or blogs, the more money your Websites will generate. Learn more about Best Buy's affiliate marketing program here and also visit our previous post on Amazon affiliate marketing to learn more about how your blog can begin generating cash flow. Also consider sharing this post with your friends and followers to help them better build their online businesses. 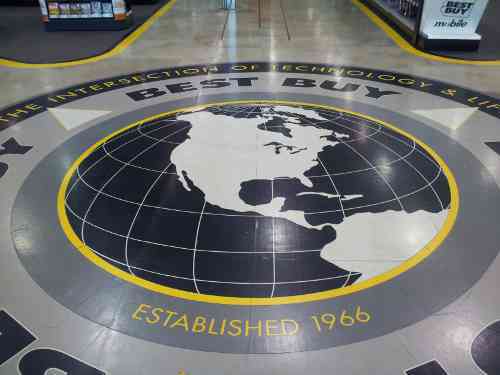 It will be interesting to see how well Best Buy can pull this off. The potential to boost profitable online businesses alone should be enough to tempt some clients. Retailing business has this certain charisma to the consumers. It takes time for a buyer to know a certain product so there is a higher tendency for him to refrain from buying the product. Retailing on the other hand works for most businesses in maintaining customer loyalty. In this light, there should be efficient epos systems to maintain the standard and quality of a product and your business as well. Security is a major concern on the Internet and should be at the top of every businesses list of priorities. Bing Tagging Can Make Your Website It!